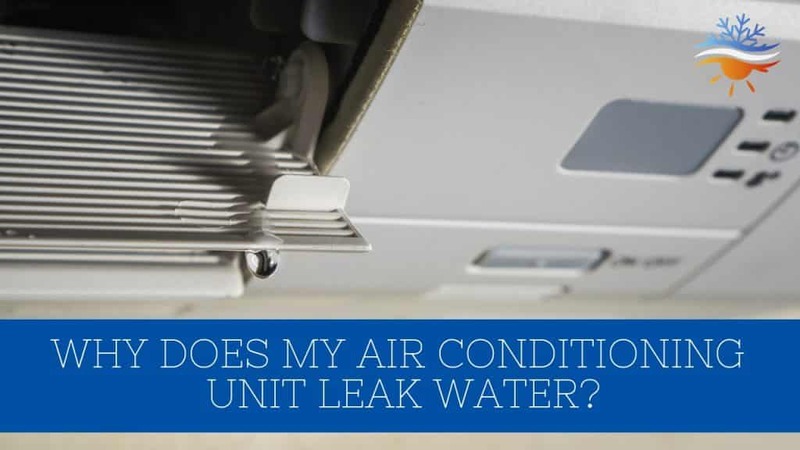 Why does my air conditioning unit leak water? You may have noticed a pool of water surrounding your outdoor air conditioning unit after it has been in use. This can be somewhat alarming, and while there is a possibility that it may signal an issue or fault, it’s more than likely just condensation and nothing to worry about. Here are some questions to ask to help you decide whether the water you’re seeing is a cause for concern, or just normal condensation. Where is the puddle located and how much water is there? If you find a water puddle near the drain pipe, or underneath your air conditioner’s condenser unit, it is probably just normal condensation occurring as a result of the machine working so hard. This is particularly common on extremely hot days where you’re likely to be running it for an extended time and it is working extra fiercely to keep you cool inside. The amount of water that you’d expect from condensation will vary depending on your thermostat setting and the outdoor temperature. Even a larger pool of water can be the result of condensation, so size isn’t an immediate red flag on it’s own. When does it become too much water, and when should I be concerned? 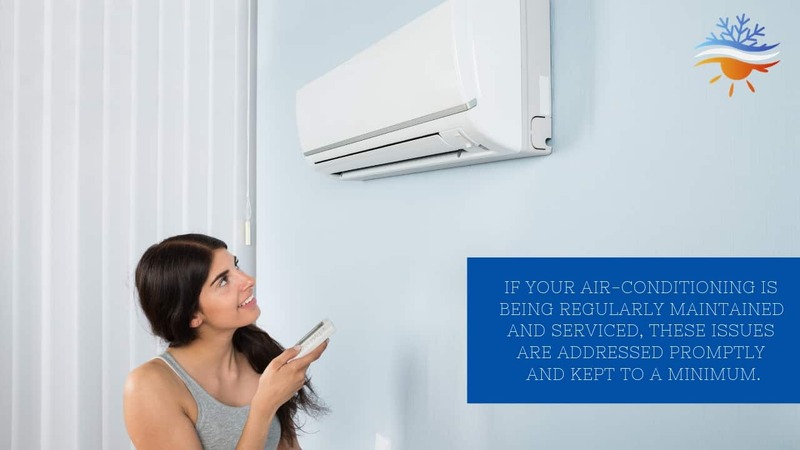 Your air conditioner is a significant investment in your home and comfort, so you do need to be cautious when it comes to any concerns you may have. Whilst water leakage as mentioned above is more than likely normal condensation, you should be aware of signs to look for so you know when to seek help. If the water is a result of condensation, it will only happen during times when the machine is in operation, then the pool of water will dry up in the sunlight. If water leakage persists for more than a day or so, even when the unit is not in use, this may be a red flag. Always contact a licensed service provider to assess the issue. Your air filters need cleaning – dirty air filters can be blocked completely or partially, making your evaporator coils more likely to freeze up. This results in excess water build-up, which then overspills from the drain. The drain pipe is blocked – water within your air con unit travels to the drain pan through a complex system of drainage pipes. If one is blocked, the build-up will cause leakage from the unit. The condensation pan is broken – As your unit ages, the condensation pan may rust, and then crack or split. This will cause water to leak from your air conditioner. Your levels of refrigerant are low – Low levels of refrigerant will cause pressure to lower within the air conditioning system, and then the evaporator coils will freeze. Once this happens, the drain pan can overflow and leak. The unit was improperly installed – If you have a relatively new unit that is leaking a lot of water, it could be due to improper installation. This could be an issue relating to sizing or incorrect drainage and can lead to leaking from the unit. Of course, if your air-conditioning is being regularly maintained and serviced, these issues are addressed promptly and kept to a minimum. If you’re ever concerned by the water coming from your air conditioner, and can’t determine whether it’s normal condensation or indicative of a more sinister problem, feel free to contact the friendly team at Clements on 02 4932 3833. We have been in the industry for decades, and we can help with all your air conditioning and servicing needs.